Play Wild Bounty™ online for free now! 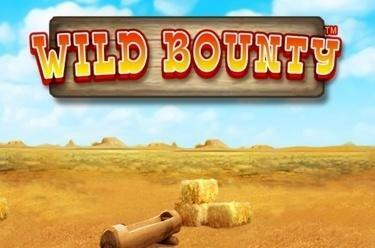 The slot Wild Bounty™ takes you to the Wild West on 5 reels and 50 fixed win lines. The lady symbol scores the highest Twist winnings. The aim with Wild Bounty™ is to land 5 identical symbols on one of the win lines that all run from left to right across the reels. 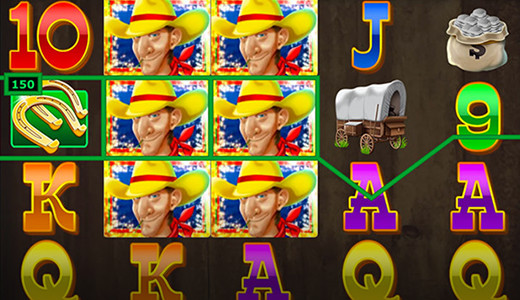 The cowboy can match any symbol of the slot (except for Scatter) and therefore increase your winning chances; he only appears on reels 2 to 5. The sheriff's star, the Scatter, triggers 5 free games if it lands 3 times in any reel position. If you land 3 dynamite symbols on the second, third and fourth reel, then the Safes Saloon feature starts. During free games that are played with the stakes of the regular game reels 2 to 4 spin together. You can win additional free games during the free games. To crack the maxi jackpot (the amount of which you can see in the top right above the reels) you need 4 diamonds. You get the mini jackpot with 3 diamonds. You can see the mini jackpot amount likewise above the reels. You win double the stakes with two diamonds. You win single stakes with one diamond. Face the bounty hunter who draws faster than his own shadow! Who will win? In Wild Bounty™ you travel to the Wild West, where you can live the dream of being an outlaw: rob as many banks as possible, empty their safes and grab all those diamonds inside! Are you ready to take on the most dangerous man west of the Mississippi? Then drawn, aim and spin - big Twist winnings are waiting for you!